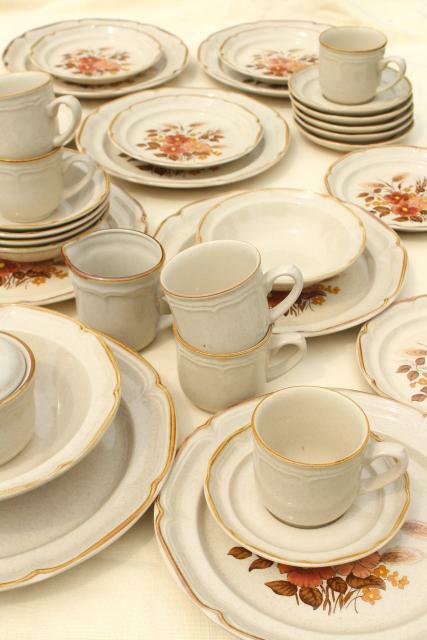 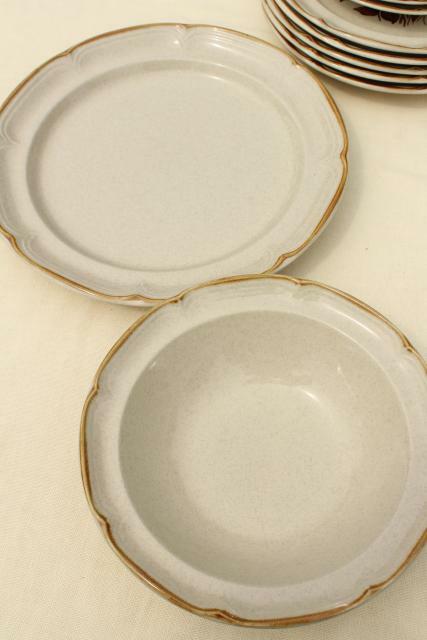 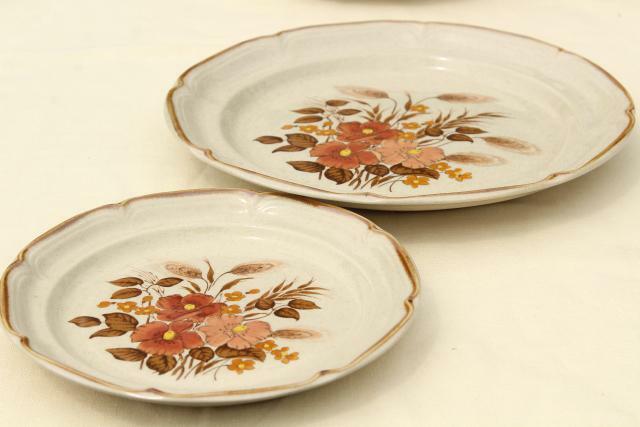 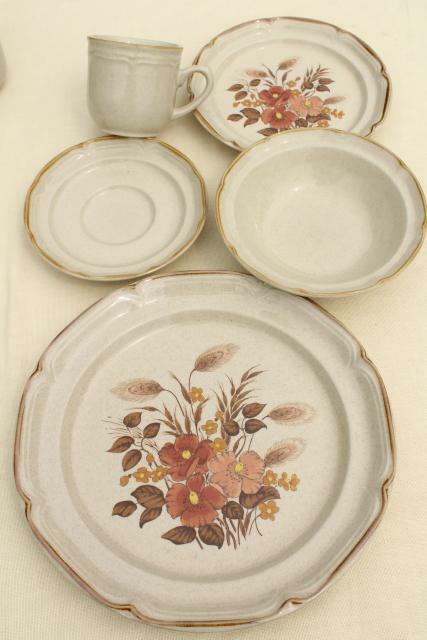 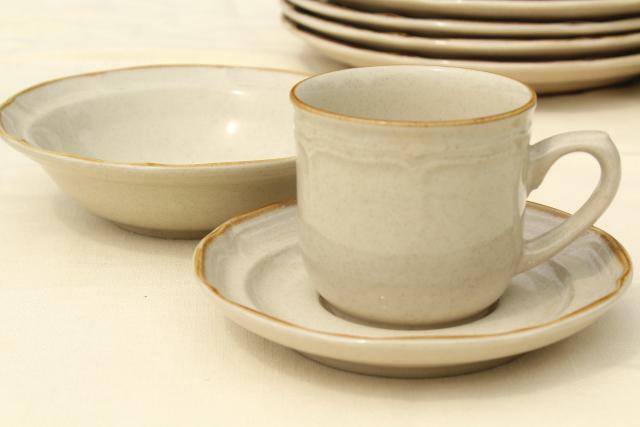 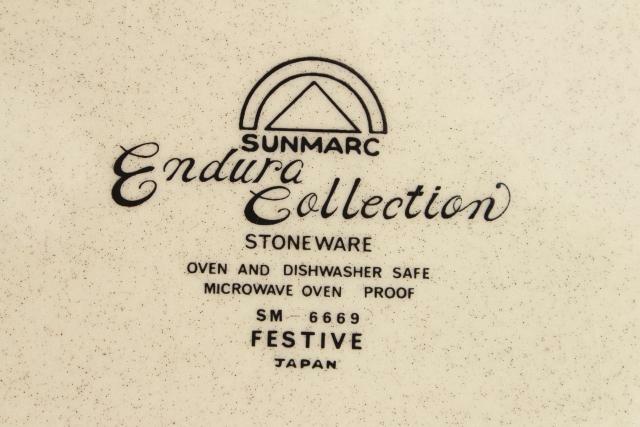 This 70s vintage stoneware dinnerware set is Festive print, Endura Collection, SunMarc - Japan. 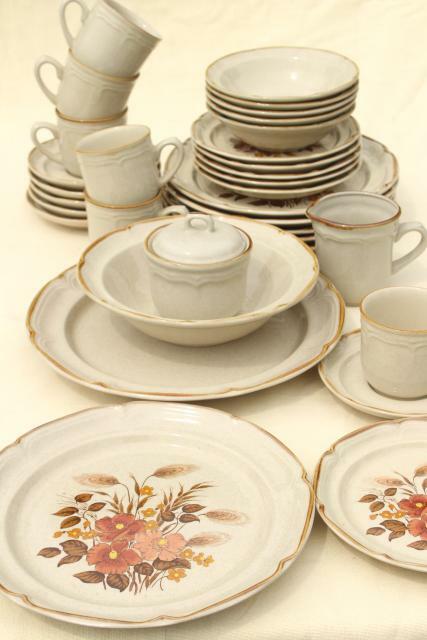 It looks very much like Hearthside baroque to us! 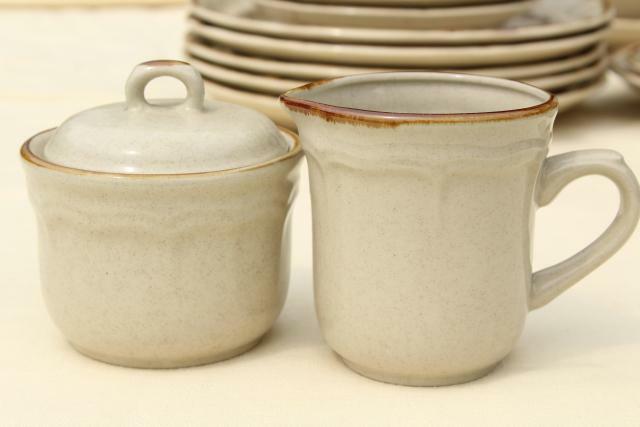 It's dishwasher and microwave safe, nice and heavy, made to last. 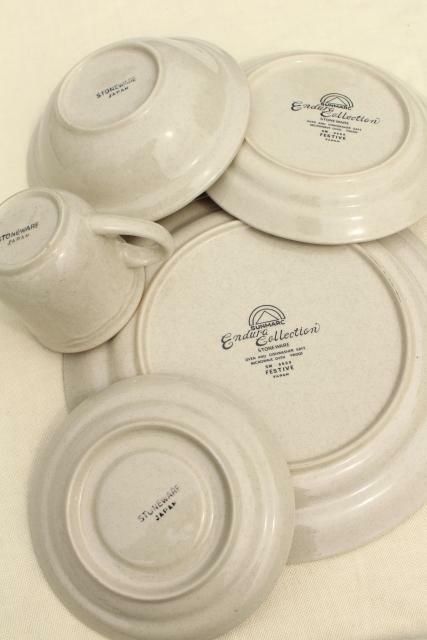 The whole set is in excellent condition without damage or noticeable wear. 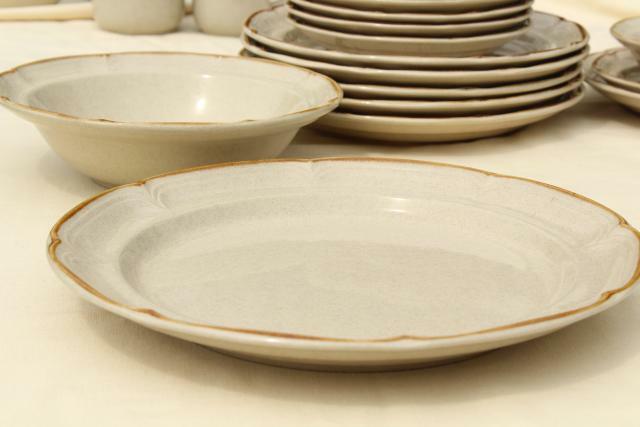 This is a nearly complete set for six - there's just five of the 6 3/4" bowls, all plain, without print. 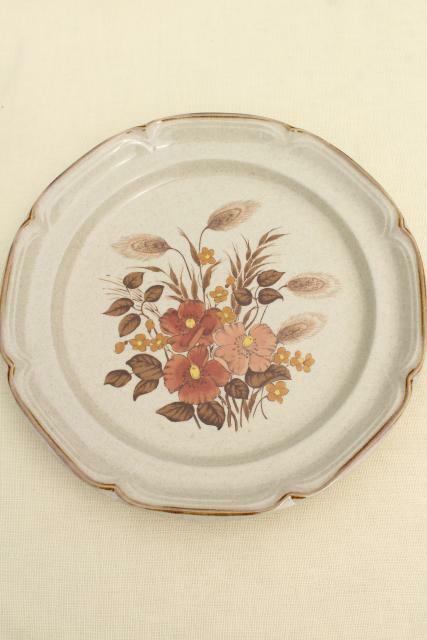 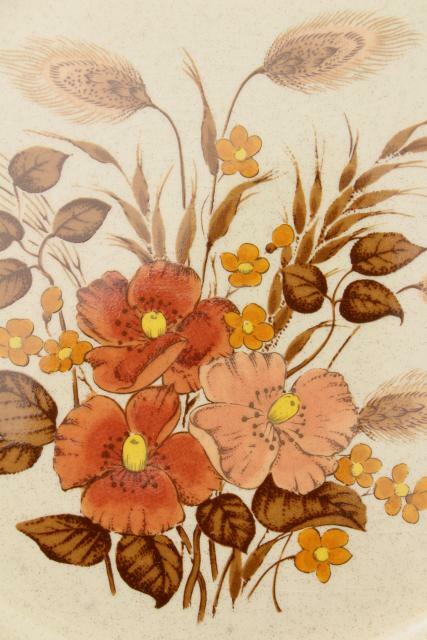 There's six print patterned plates 7 1/2" and 10" in diameter, six plain cups and saucers, a plain cream and sugar, a plain serving bowl and round chop plate or platter.